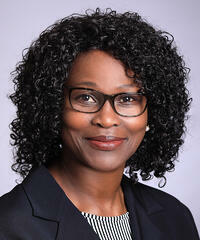 Dr. Victoria Sowemimo has joined Aldevron as its new Director of Quality Assurance. In her position, Sowemimo will lead the company’s cGMP Quality Assurance functions supporting through all phases of clinical and commercial product release, management of Aldevron’s quality systems and regulatory training to assure compliance to all phase appropriate requirements pertaining to Good Manufacturing Practices. Dr. Sowemimo brings more than 20 years of global experience in the pharmaceutical industry. Prior to joining Aldevron, Dr. Sowemimo served as the Associate Director of Quality Operations at Purdue Pharma L.P., a pharmaceutical company that develops and provides a variety of prescription medicines. At Purdue Pharma, Sowemimo led quality operations including Auditing, GMP Training and Quality Improvement. Prior to starting with Purdue Pharma, L.P., Sowemimo held positions of increasing responsibilities at GlaxoSmithKline Ltd. and Novozymes A/S. Her responsibilities included leading, developing and managing quality management systems for international GMP regulations in the pharmaceutical and biotech industries. Sowemimo earned her Master of Science in Medicinal and Pharmaceutical Chemistry from Loughborough University, Loughborough, Leicestershire, England, and her Ph.D. in Pharmacy from Monash University, Melbourne, Australia. In 2008, she earned her MBA from Duke University, Durham, North Carolina, with an emphasis in Health Sector Management. Aldevron serves the biotechnology industry with custom production of nucleic acids, proteins, and antibodies. Thousands of clients use Aldevron-produced plasmids, RNA and gene editing enzymes for projects ranging from research grade to clinical trials to commercial applications. Aldevron specializes in GMP manufacturing and is known for inventing the GMP-SourceTM quality system. Company headquarters are in Fargo, North Dakota, with additional facilities in Madison, Wisconsin, and Freiburg, Germany.